China, France, Russia, United Kingdom, and the United States are considered nuclear states with demonstrable abilities to assault other nations with nuclear weapons. India, Israel, North Korea, and Pakistan could probably do it to, albeit it with limited arsenals. But just how hard is it to push the figurative red button. Stanislav Petrov was duty commander for the USSR rocket forces. His job was to monitor the satellites launches from American ICBM forces. On September 26th 1983 one was detected, then there were four more. Petrov's duty was to warn Soviet high command. If an ICBM had been launched from a US ground launch site, it would take about 30 minutes to reach the USSR. The Soviet commanders would trust his launch recommendation. Petrov was skeptical of the system readings though. He also knew that logically the US would never launch just five missiles against the USSR and await retaliation. First strike doctrine was that you fired everything you could at the enemy in hopes of blunting the response. So Petrov refrained from letting his superiors know until he could correlate his information against other sources. It was found that, due to computer faults, what he had been detecting were actually flashes of sunshine on the tops of heavy clouds. Films aren’t shown in cinemas like they once were. Prominent directors have accepted that shooting on film has become a less realistic goal. Should you actually go the cinema attendees are often glancing at their phones, scrolling through Instagram, and replying to texts. The big screen up front has been losing to the smaller one in your pocket. And to other screens in our homes also. Tastes change. People don’t see plays much anymore and no one has a court jester. Yet there is a feeling that a lot of complicated art has been replaced, replaced by the basic sensation of simple distraction. Maybe audiences are getting what they want. But the job of the artist isn’t to give the audience what they want, it’s to give them what they need. The most contemporary type magic is be Chaos Magic. People write their desires down one paper, then through various systems they aesthetically transform these sentences to look more like how you’d imagine magical symbols to look. What they’re left with are sigils. If these sigils are then ‘charged’ in the correct way they will manifest in reality. Chaos Magic is real in the minds of some people, which may, strangely, by it’s own definition, be enough. Woody Allen overlaid with a shoal of chaos magic sigils. Donald Trump isn't dumb. He's just not your idea of what a smart person is. Wanting to win in 2016 he implied very heavily that he could make working Americans more like him, that is luxuriously wealthy. But he abandoned that tacit mission statement the moment he was inaugurated. President Trump's first year has seen a style of corruption usually reserved for Third World Africa. The most generous way of describing the 45th's behaviour is that it's not actually malicious, it's just clan based thinking. The $1.5 trillion Trump tax cut is a victory for the widely discredited theory of trickle-down economics. It's also a win for Trump personally. He should save $15 million annually. Son-in-Law Jared Kushner will save $12 million a year. Should the President die his children could save as much as $1 billion due to the adjustments inheritance code. If Trump believed in science he could donate his body to it. Those doing the autopsy would find that his once beating heart sounded like a cash register. Donny still isn't a politician, he's a performer. Even his signature is performative. He uses the biggest pen available and then turns the paper around to show the camera what he's done. Whenever in public he is 'on'. He's always in costume. He’s transferred US politics into pantomime, transgressing the norms of the executive branch. The Democrats still can’t get their head around him. Which is a problem because you can’t defeat what you don’t understand. Beyond praying that Trump somehow gets impeached they’d given up. That was until the Golden Globe awards. If you can’t beat them, join them. Oprah Winfrey was presented with the Cecil B. DeMille trophy for outstanding contributions to the world of entertainment. She took the opportunity to entertain the emotions of the crowd, giving a rousing speech. So well performed that within ten minutes of it going to air the Internet reviewed that she must be running for President in 2020. Her political resume is scant but meaningful. From 2006 to 2008, Oprah's endorsement of Obama, by one estimate, delivered over a million votes in the super close 2008 Democratic primary race. She's not run for office before, nothing at all. Same as Trump though. Maybe Oprah could win. The left say that want serious progressive change. But maybe all they want is someone more agreeable back in the news cycle. Oprah's antidote preaches the need to reform the individual in order to better fit in with rotten conditions of contemporary Western life. The power of positive affirmations will allow you to survives against the larger forces acting upon you. Collective action is dead, the individual is all there is. She's the exact opposite of what politics is meant to be about. In her world there is nothing bigger to give yourself up to for the greater good, so all you can do is concentrate on you 'living your truth'. Oprah is clever and warm and charming and soulful. But she's also been a baleful influence on millions, demonstrably so. She heavily promoted self-help bunkum like Rhonda Byrne's The Secret as well as profited off fraudulent quackery like Doctor Oz. Oprah is more like Trump than anyone else alive. Trump himself understood this intuitively in 1999 when he told Larry King that she would be his ideal running mate. Each have made fortunes, by doing whatever it takes, to create personality cults around themselves for business purposes. Trump puts his name on buildings, Oprah puts hers on a TV network and her face on the cover of every single issue of O Magazine. His brand promises wealth and winning, her brand promises self improvement and spirituality. There is an idea of a Trump or and Oprah, some kind of abstraction. Neither of them are politicians but celebrity culture has now reached a point were it permeates every aspect of contemporary Western culture. Democracies function best when they elect fair representation of the population at large. Celebrities are by definition anti-representive. 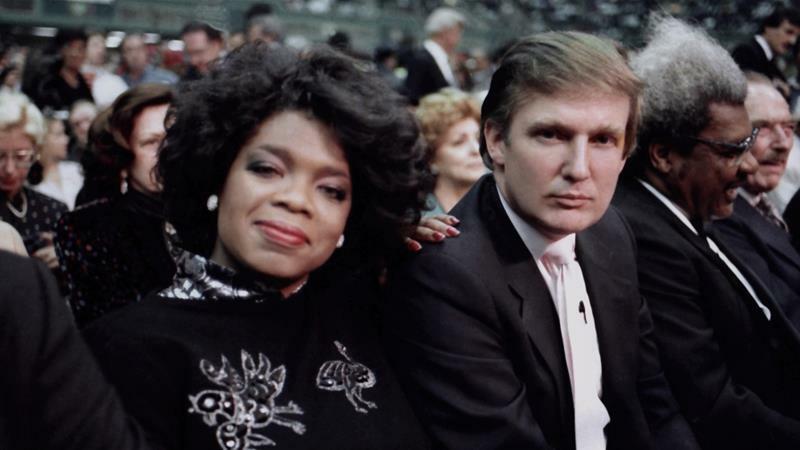 Trump and Oprah aren't reflections of communities. They are self-created icons of aspiration, holograms - dazzling but intangible - projected into the luminiferous aether. Recent history has seen the US electorate radically overcorrect from what they just had and get kind of the opposite of what they just had. The gloom of Nixon was replaced by the sunniness of Carter, when Jimmy's Samaritan thing wore thin they went with Reagan, after him and old man Bush got long in the tooth they went for saxophonist Bill, who was replaced with cowboy George W, and the opposite of him was smart cool Obama, and the reaction to him was Donald. If that pattern holds true then the next President should be a boring technocrat. If that pattern hold then Oprah is out. But maybe all bets are off. Perhaps Trump's presidency is a rapture that will begin a new era, in which thrones belong to jesters. George Jetson lived in a mansion that floated in the sky. He had a hot wife, two cool kids, a loveable dog, and a robot housekeeper. He drove a flying car across Orbit City to an office job at Spacely Space Sprockets where his workweek was typical of the era: one hour a day, two days a week. In 1962 when The Jetsons premiered the cartoon envisaged the 21st Century as a time when scientific advancements had made the economy so efficient that one bloke working a 2 hour work week could support a family and own most things. In the real future (right now) efficient technologies have changed everything. But in unplanned ways. The US lost 5.6m manufacturing jobs between 2000 and 2010 and according to a study by the Center for Business and Economic Research, 85 per cent of those jobs losses can be attributable to technological changes in automation. The Boston Consulting Group has estimated that while a human welder earns $25 per hour the equivalent cost per hour for a robot is around $8. And the extra cost of maintaining a robotics system (installation, maintenance, and the operating cost) could be amortised in the first five years. Although there has been a steep decline in factory jobs, the manufacturing sector has become more productive and industrial output has been growing. In short, more stuff is being made by less people. The process is underway and irreversible. But unlike on The Jetsons people haven't started working less while getting paid the same. The efficiency dividends have instead been paid to companies rather than workers. The workers themselves have either started working not at all or all started working somewhere else. If The Jetsons had of been more correct it might of made George not go into work at all. His boss, Cosmo Spacely, was always in a bad mood and shouting anyhow. Instead George would stay at home playing with Astro collecting money from the government. It only makes sense that in a futuristic utopia no one need work at all. You could tell by the low-key stage that Trump didn’t completely expect to win. The victory speech was meant be on the shiny blue map of America stage. Instead Clinton was probably too shocked to go out there and say anything at all. It’s really only shocking though because for the last 18 months the media has been saying he'll lose and the polls have been agreeing with that narrative. Wrong. Trump did not win by a lot. But he definitely won. And he got the Congress and the Senate too. So it's a massive victory, obviously. You always had to wonder if the polls were wrong. Trump is an outlier and outliers cause modelling to break down. His victory has embarrassed the pundits. They had no idea what they were talking about all along. And we have no reason to think they do now. Without endorsing Trump’s actual political views it important to acknowledge the art of the victory. He had the imagination to cut through the noise and send his own signal. Despite being one of the wealthiest people in America, living in a huge apartment atop a building on Fifth Avenue with his name written on it, surrounded by luxury and security and healthcare and fine food, he had imagination. He had the thoughtfulness to understand that most Americans have none of the things he enjoys. He then took this appreciation and went out into the swing states and said to the people, I am rich and you are poor but if you come with me you can be like me, trust me, it’s gonna be huge. When Bush got re-elected I had a phone conversation with my old man where I basically said I couldn't believe that they'd re-elected him. His response was that I didn't understand America. I knew about their fantastic popular culture but I didn't appreciate how most of Americans are forced to live. I've since been to the US three times for a total of ten weeks and most of that was spent driving cross country. 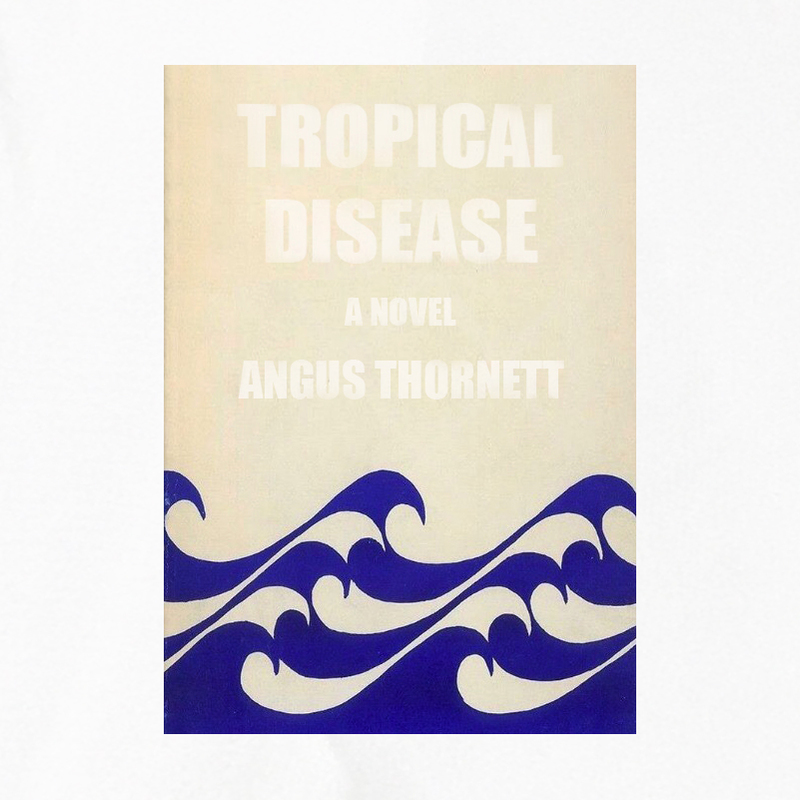 Once you get past the Elysian Fields of California and New York City the interior is filled with poorer people, run down infrastructure, homeless war veterans with PTSD begging for change under bridges, addicts, abandoned factories and dusty townships. Maybe it's not all that bad but it ain't great. Trump won the primary by picking apart sixteen, mostly seasoned, politicians. If he could devastate Jeb then so too Hillary, they were both the establishment. Without the GOP superiors actively working against him he ran a highly original line and all with less than half Clinton's money. He now has the gold medal. Not seeing Clinton give a concession speech when she knew she’d lost really felt like evidence that there truly is no room on the podium for second place. Right now the rest of the world looks at the US with confusion and derision. But maybe the Yanks don't care what the rest of the world thinks. A few of them at least are like Trump. They only care about who they view reflected in the glass. And right now Trump looks in the mirror and he sees a massive winner. But will it last? Hard to imagine so. Even Steph Curry can only hit so many three pointers in a row. America is a nation of complicated unpredictable tectonic shifts that can only be understood in hindsight. This is just another rapture. There will be more.